When there’s a mismatch between our belief and behavior we experience what Leon Festinger calls a ‘cognitive dissonance’. And we have a strong need to solve this dissonance. So when we’ve displayed some kind of behavior that is not in line with our beliefs, we tend to change our beliefs and keep behaving according to the initially displayed behavior (see: Cognitive Dissonance Reduction). They also asked a second group of homeowners to place this sign on their beautiful lawns. What was the difference between these two groups in this classic experiment by Freedman & Fraser? Why the startling difference in response? Two weeks earlier, a different ‘volunteer’ had asked this second group to display a tiny 3-inch sign that read BE A SAFE DRIVER. This request was so small, so reasonable, so easy to agree to, that almost everyone agreed. This mental ‘foot-in-the-door’ technique made homeowners view themselves as socially responsible and safety-aware, hence a request for a larger favor few weeks later didn’t startle them. Ask a small request before your big one (newsletter subscription, trial, poll, …). Remember returning visitors of their previous visit (welcome back! recently viewed items, etc.). Emphasize existing client relations (recently bought, ‘My environment’, ). Provide small steps (that are each relatively less ‘inconsistent’). Online Questionnaires can be used for 2 purposes: Acquiring customer insights, and boosting conversions. Visitors entering the website either have to close the questionnaire popup, or answer the questionnaire in order to proceed. This forced click might subconsciously activate a self-consistency process: ‘I am someone who interacts with this website’. 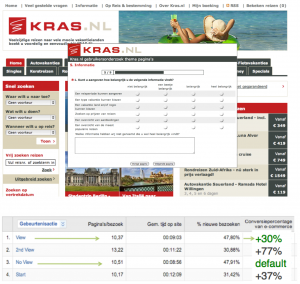 Online Dialogue tested the conversion effects of online questionnaires for several clients. 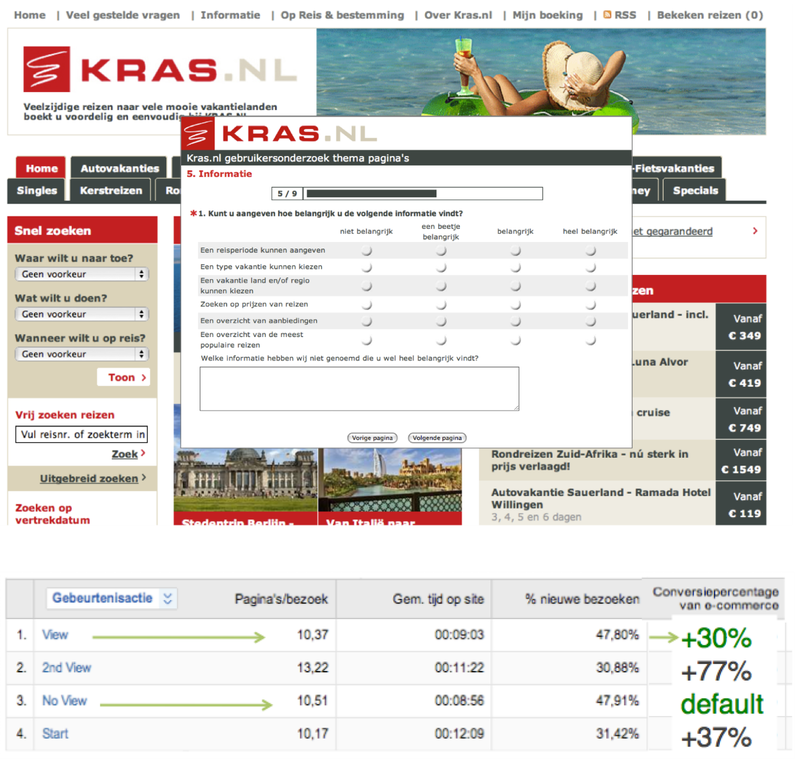 For example on Kras.nl. Visitors who directly close the popup convert 30% more!